Harbour City Tiles And Carpets is a locally owned and operated flooring business. We specialise in wall and floor tiles, carpet, vinyl flooring, timber flooring and all your glue, grout and tools. We have been offering our services to the people of Gladstone and the CQ Region for the past 25 years. With our extensive selection of top-of-the-range products and supplies, we are here to provide our clients with choices to suit all budgets, lifestyles and décor. Whatever look you’re after, we have the flooring to suit modern, classic to art-deco residential or commercial designs. We have created a friendly relaxed environment where we endeavour (to the best of our ability) to satisfy our customer's needs. Our honest down to earth approach guarantees our customers get exactly what they want and need to achieve stress-free decorating of their new home or renovation. Every staff member at Harbour City Tiles And Carpets is a valuable member of the team and have unique qualities and product knowledge which they bring to the business. We believe that good teamwork is the key to providing quality service to our clients. Rugs residential provide an unrivaled collection of hand-knotted rugs with the option of customising to your specifications. Our quality rugs come in a range of styles and compositions that would fit seamlessly into any décor. First time homeowners and experienced designers alike are sure to find the ideal rug at Rugs Residential. Whether you are looking for a one-of-a-kind tribal, something affordable, simple, and stylish, or an elegant wool and silk contemporary. CUSTOM RUGS ----- We understand that sometimes you just can’t find exactly what you’re looking for even in the largest of showrooms. That’s when custom is in order. Whether you are trying to match a colour, pattern or you have an interesting shape or unusual floor space for a rug–we can help. Our custom orders can incorporate the look and feel you desire and will then complement your existing design, artwork, furniture and fit in the space exactly the way you want. With 1200 colours to choose from and qualified designers to help you find the best solution, you are sure to be 100% satisfied with the final product. Providing Victoria with first class customer friendly flooring and remodeling services. We are committed to compatibility and responsiveness with our clients, employees, vendors and our trusted sub-contractors. We develop trusting and honest relationships from the first consultation meeting through the entire project and for years after. In fact, customer our clients prefer that only Imperial Floor Coverings provide all remodeling and flooring on their home. We at Affective Timber Flooring have a continuing goal of increasing quality, workmanship and customer service while at the same time keeping prices competitive. Our goal is for you to choose Affective Timber Flooring Wood Floors because you are looking for quality and value. 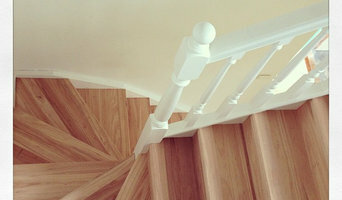 At Affective Timber Flooring, total customer satisfaction is our goal. Our expert flooring technicians provide superior craftsmanship and skill to your hardwood flooring project. Affective Timber Flooring is a full service hardwood flooring company. We offer sanding, staining, bleaching, polyurethane, and repairing as well as new installations of any size big or small. Affective Timber Flooring is dedicated to providing you with the finest service and products. We are fully insured and licensed. Why not give Affective Timber Flooring a call today? You will be pleased with our competitive prices, quality workmanship and outstanding service. We specialize in the full package of supply, installation & sanding and polishing of old, new & recycled timber flooring as well as all bamboo, engineered & floating floors. Creative and Pleasurable Timber flooring is now a rapidly growing market in Australia, highly recommended due to hygiene that you can enjoy and share with others each time they visit, adding not only a fantastic look but also adding value to your home. Here at Affective Timber Flooring we strive and thrive on creating and giving a pleasurable experience during the process of the work. With 17 years experience in the field Allan Sailor owner operator gives professional advice to suit all budgets and desired requirement of your flooring needs. Trained by someone already 15 years in the game at the age of 16, you can be sure he has the knowledge and know how to achieve every requirement. French Oak Floors are Perth's flooring specialists with over 20 years of experience and only the best suppliers of sustainable European oak. We specialise in wide board engineered oak flooring featuring distinctive colours to complement any decor. Our range offers superior wear and stain resistance adding unparalleled style and character to your home. See for yourself why French Oak Floors are your best choice for quality, durability and style. With more than thirty years experience, and a portfolio of projects ranging from major commercial developments to private residences, TSAR is a design-led business with the confidence to take a unique point of view and the technical expertise to deliver. The design team at TSAR work with architects, interior designers and private clients, developing original, customised rugs and carpets for individual spaces by balancing aesthetics, budget and performance. In addition, TSAR carries an extensive house collection, featuring understated classics through to high impact modern designs. Drawing on diverse influences, from botanic to industrial, designs from this collection are available in-store or, in keeping with our emphasis on customized service, can be made to order in any size and colour. 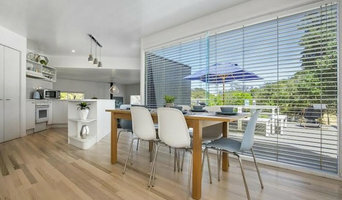 We are timber floors staining specialist based in Melbourne Australia. we can create any color or effects on your existing wooden floors by high quality direct staining, lime wood washing and wire brushed distressing. Or 2 dimensional effects by fumed and smoked treatment. Local expertise. Quality craftsmanship. Personal service. Your team. At My Timber Flooring Blinds and Shutters, we understand you want the confidence of working with a local team that offers quality craftsmanship and expertise – with over 20 years in the building, renovations and property maintenance business, we offer you that and so much more. Every project is different and we know that customers are looking for more than just an off-the-shelf retail product. We’re here to help you select the right flooring, blinds or shutters to bring your building or renovation vision to life. We pride ourselves in working with you to provide the right advice for your unique needs. We offer specialist expertise and service that you can rely on. At My Timber, you can be assured that the people who provide you the advice are the people who provide you with great service and who will see your project’s vision come to life, now and for the future. So if you’re building or renovating your home or business, or a builder working on a project, talk to us about being part of your team. 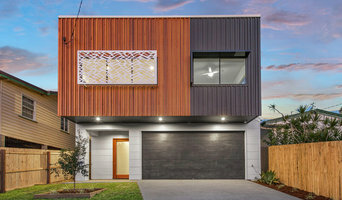 Perth Focus On Flooring 38 Hutton St. Osborne Park WA 6017 08 9443 1233 With over 100 years of combined experience of supplying, selling and installing different types of flooring in Western Australia. Importer, wholesaler and distributor, Perth Focus on Flooring specialises in ALL types of timber flooring and we deal directly with the Builders - Trade and Public. Perth Focus on Flooring has a wide range of products to suit your lifestyle, home and budget. We have one of the largest selection of different flooring under one roof in Osborne Park. Why use WOODCUT PREMIUM ENGINEERED TIMBER FLOORING? Because we supply and install all our own products and we go the extra mile to achieve what you want. We are not just another timber flooring company – WOODCUT has been in operation for 14 years, specialising in every facet of timber flooring. All our staff are passionate about what we do. 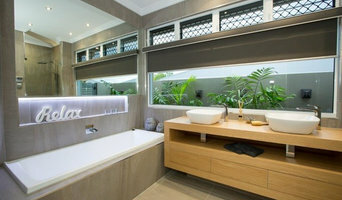 We don’t sell tiles, we don’t sell carpet, and we don’t sell stone; WOODCUT specialises in the supply and installation of engineered timber, ranging from European oak, American oak, European ash, Dutch elm and Douglas fir to Australian species such as Blackbutt, Spotted Gum and Tasmanian oak. WOODCUT imports its own exclusive range of underlays and adhesives from around the world, ensuring that when an engineered timber floor is installed by WOODCUT, you can rest assured it’s done right. At Silk Road Handmade Rugs we create fine works of art using traditional and intricate craft of hand knotted rugs. Our extensive range combines decades of design experience with quality craftsmanship to create works of true beauty. 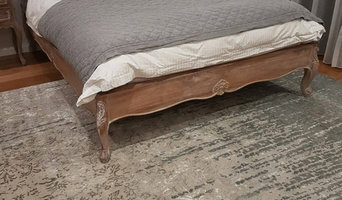 Each Silk Road Handmade Rug tells its own tory through unique design. Crafted by hand from start to finish, we use both modern and traditional methods of hand knotting to create beautiful long masterpieces. Our Pieces are created by master weavers in Persia, Afghanistan, India and Nepal using only the finest quality natural fibres and yarns. In respect for the skill and knowledge of these traditional weavers, we take care to ensure each Silk Road Handmade Rug is created under fair trade work conditions with no child labour and ethically sourced materials. Our collection includes subtle and elegant contemporary designs along with exquisite and timeless classic rugs produced by nomadic tribes. Our classic collection is breathtaking, showcasing weaving techniques, high quality materials, bright colours and traditional patterns. The heart of Silk Road Handmade Rugs lies in our passion, commitment and love for design. Founded in 1999 we have become synonymous with luxurious quality and unique design. We welcome you to visit our showroom in Prahran to experience the unique collection of quality hand knotted rugs, or work with our designers to create your own custom piece. Experienced flooring retailers will know as much as an installer for what product is right for your home. From hardwood floors to vinyl flooring and carpet, there are nearly as many surfaces to walk on as there are home styles to build. A pro can help to ensure that your home’s floors start off and stay in top form. Your carpeting and flooring professional might work closely with contractors, interior designers and others in the home building and home improvement `industry. Here are some related professionals and vendors to complement the work of carpet suppliers: Interior Designers & Decorators, Design & Construction Firms, Specialty Contractors, Building Project Managers, Home Builders. Hire a Flooring Installation Contractor if your floor troubles are beyond the rug solution. From timber flooring to a laminate flooring installation, a specialist will take care of your sanding, polishing and floor covering needs. Look for a Flooring Installation contractor based on past work and referrals - all available on Houzz. Find a carpeting and flooring professional on Houzz. Narrow your search in the Professionals section of the website to carpeting and flooring. You can also look through photos to find examples of carpeting and flooring that you like, then contact the professional who worked on them.